Born on 26th October 1965. Julius studied at the London School of Economics (LSE) from 1986 - 1988 and earned a 2:1 degree in law. 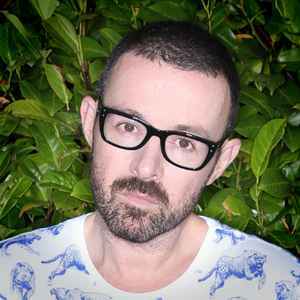 During his first year he was involved in the student union and started organising parties where he DJ'd and due to the nature of his studies he earned the moniker "Judge Jules". He started his career putting on warehouse parties in the late 80s before becoming resident DJ for MFI. Has also hosted shows on Kiss FM and Radio 1. He was also the head of A&R for Manifesto. His uncle is celebrity chef and restauranteur, Rick Stein. Have to echo the comment below, albeit 11 years after it was written. Jules for me was everything awesome about late 90s/early00s clubland in the UK. Admittedly he struggled with mixes on occasion, but hey he was the real deal. And back then everyone was a "proper dj" - vinyl purist alert!! His saturday night radio 1 warm up show was epic, playing every tune that we knew we were going to hear at Gatecrasher/Godskitchen/Slinky that night and we would all write the names of the tunes down and beeline for HMV/HTFR on the monday morning to add to our collection. Heck. the fist 15 records i ever purchased were his set on Ministry of Sound annual IV!! Saw him play a fair few terrible sets, but Gatecrasher, he always rose to the occasion. Nice one Julesy. Judge Jules certainly has his haters, but then, he is a very easy target. However, had it not been for me hearing this guy on BBC Radio 1 on a rain soaked, freezing, October Friday night in 1998 whilst i was driving around Peterborough aimlessly having just passed my driving test, i would probably not be into DJing or house music today. I was just causally listening when i remember vividly hearing Jules play the Rhythm Masters remix of Golden Girls "Kinetic". Thats it, i was hooked. 17 at the time and instantly hooked on house music. Of course, after that moment, i transformed into a regular listener week in week out. I then started to hit the spots he was DJing in, Turnmills, Passion, Gatecrasher, Slinky etc. I then decided to buy some turntables later that year, and well, the rest is history. To this day, I'm still an avid fan of Jules, i still think that when it comes to rocking a crowd, Jules has still got it and in my eyes he is still the best. I don't know why i like listening to him so much, i think i look for the same things in a record as Jules does. I also still listen to his BBC Radio 1 Weekend Warmup show EVERY week, the only difference is, now I'm 26! He has a 6th sense at picking out records that usually end up huge before most people even know about them, I've always been a fan of his mixing style and in the flesh he's a top bloke to boot. Thank you Jules for showing me DJing, for showing me clubbing and more importantly showing me house!